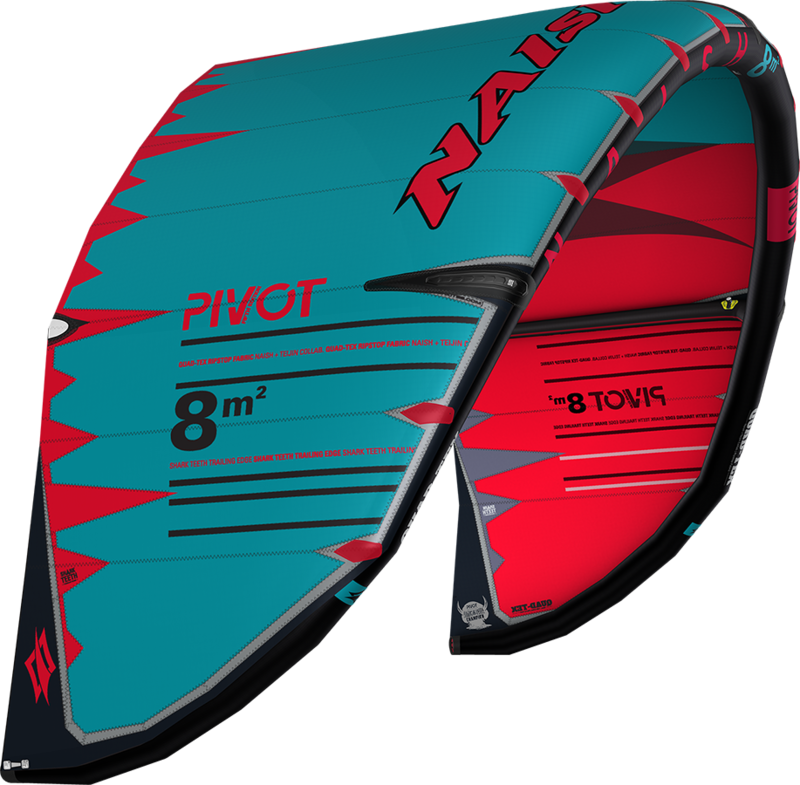 Winner of 2018 Red Bull’s King of the Air, the Pivot is direct, versatile and efficient, maintaining its stand out performer status in the Naish kite line. Perfect for both novice and professional kiters alike, the Pivot provides plenty of sheet-in-and-go, predictable power, direct bar pressure, easy jumping and control in the air. The superior choice for versatile performance, the Pivot maintains a large wind range, proving dynamic and responsive in everything from waves to flat water. It has earned an impressive reputation for its intuitive steering and tight, quick axis of rotation and the 2019 Pivot continues to push its capabilities even further. With the Quad-Tex material, we have managed to remove heavy dacron panels along the struts reducing weight while retaining canopy rigidity. The leading edge seam has also been “beefed-up” with a new thread that has tested off the charts in overall strength. The new Pivot also comes with Bladder Lock, which eliminates the risk of bladder movement in the leading edge and struts to ensure they stay in place when inflating, deflating, crashing or packing.